Citizens’ Association Atina had an honor to take part in the international course Golda Meir Mount Carmel International Training Center in Israel on combating violence against women and children which was supported by MASHAV – Israel’s Agency for International Development. The course lasted for three weeks during which participants were learning about the system in Israel, but also examples of good practices throughout the world. 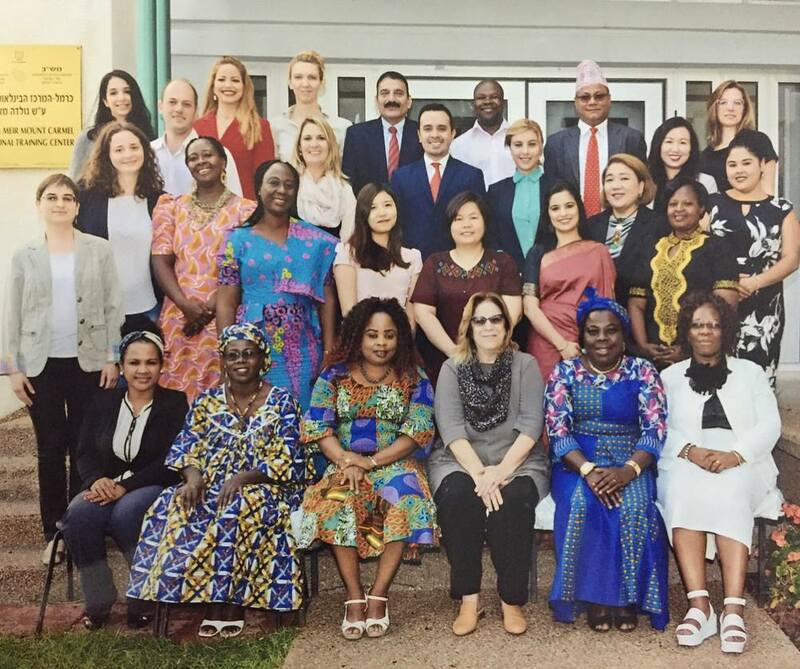 A total of 25 participants from various countries gathered in Haifa to improve the systems of support and combat violence against women and children in their states. The course included lectures of experts, study visits to the shelter for the protection of victims of human trafficking, shelter for the protection of victims of gender-based violence, alternative accommodation for victims who cannot stay in collective accommodation, clinic for forensic examination of children who survived violence, Hermon prison - rehabilitation and treatment program for men who committed violence, but also workshops during which participants acquired practical skills and exchanged experiences. Golda Meir Mount Carmel Training Center was established in 1961 to assist in the training of women engaged in community work in Asia and Africa. Since the establishment, some 20,000 participants from over 150 countries in Asia, Africa, Europe, South America attended over 650 capacity building programs and workshops, and 28 International Conferences for Women Leaders. The Center also provides expert support outside of Israel. Thus, each year, Center raises capacities of more than 20 institutions in several countries. Three main focuses of the Training Center are: Sustainable community development, early development of children, entrepreneurship and innovation, with a particular focus on the gender aspect in each of these areas. MASHAV – Israel’s Agency for International Development, at the Ministry of Foreign Affairs, was established in 1957, and responsible for the design, coordination and implementation of the programs for cooperation and development of Israel. MASHAV is focused on building human and institutional resources of developing countries through sharing experiences, expertise, methodologies, and innovative technologies of the State of Israel. During the course, Citizens’ Association Atina had an opportunity to carry out a workshop on direct work with the victims of human trafficking, but also the entire support system in Serbia. Participants had an opportunity to learn about experiences in direct work not only from Serbia, but also Cameroon, India, Nepal, and other states. The exchange among states was of utmost importance for the cultural and contextual insight into the issues they are facing with, and for reaching joint solutions. This was a unique opportunity for the Association Atina to gain an insight into the support systems for the victims of human trafficking and gender-based violence that exist in Israel and all over the world, and to advocate for changes based on this experience.